Pool liner coping are plastic strips that are installed over top of the overlap pool liner and under the stabilizer bar. 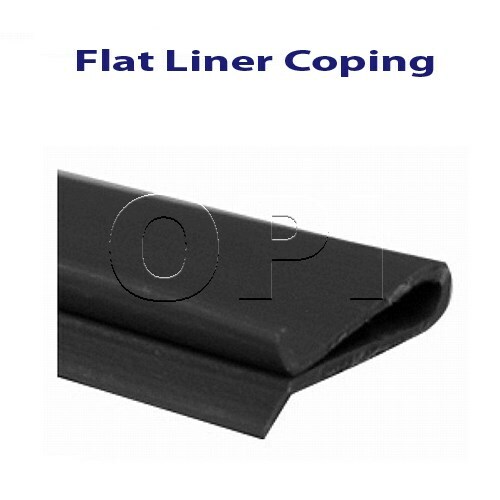 The purpose of liner coping strips is to firmly hold in place the pool liner preventing it from slipping off of the pool wall. Due to the intense Florida sun these plastic parts tend to become dry and brittle over time and should be replaced during a liner change. Because they are very inexpensive there’s really no reason not to just order them when purchasing your new liner. Having them handy can save hours or days hunting them down if this becomes an after thought. 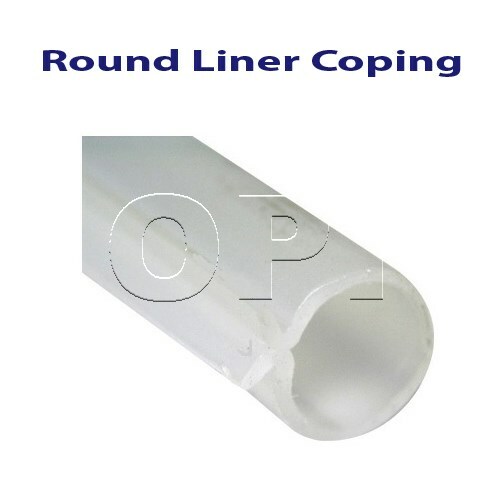 These are two types of liner coping for above ground pools, the flat style sometimes described as V-shaped and the round or tube shaped. They usually come in lengths of 2′-4′ and often sold in quantities based on pool size.